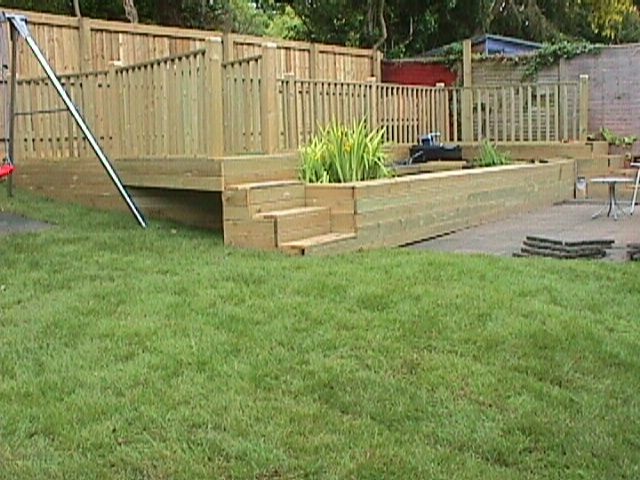 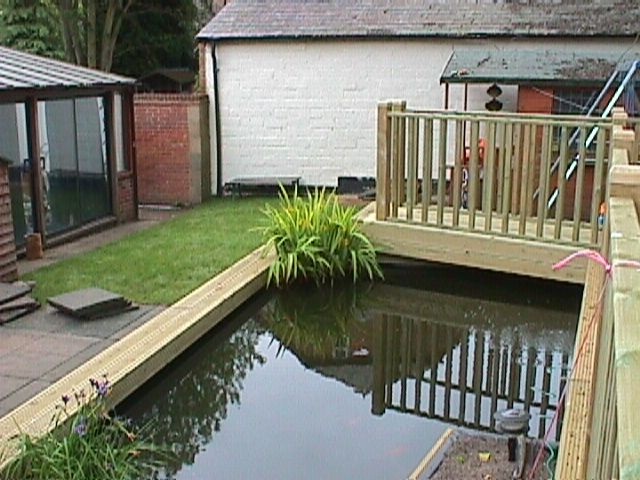 This project was started after the acceptance of our custom decking design. 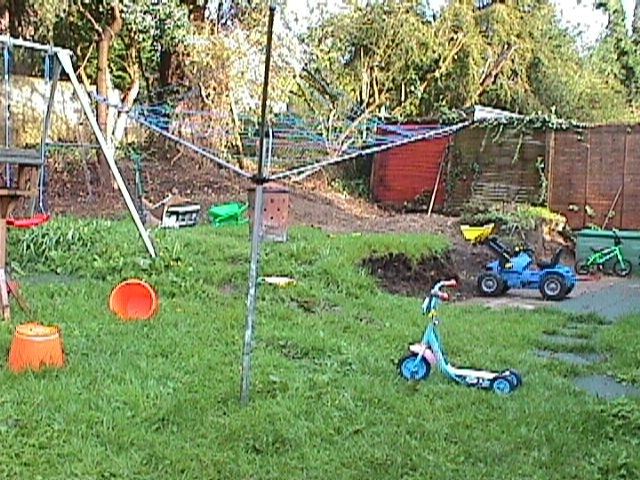 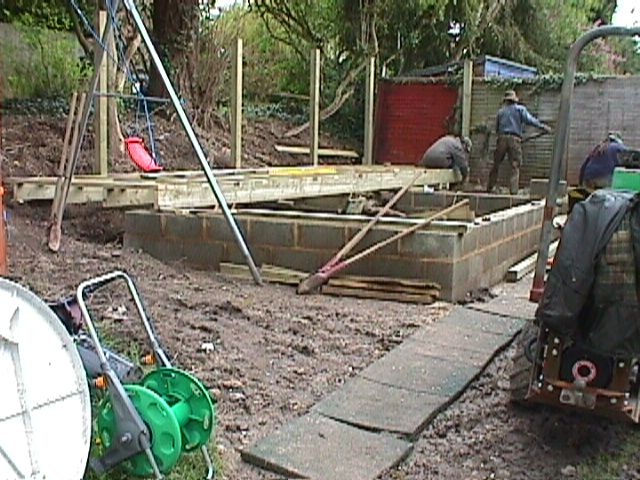 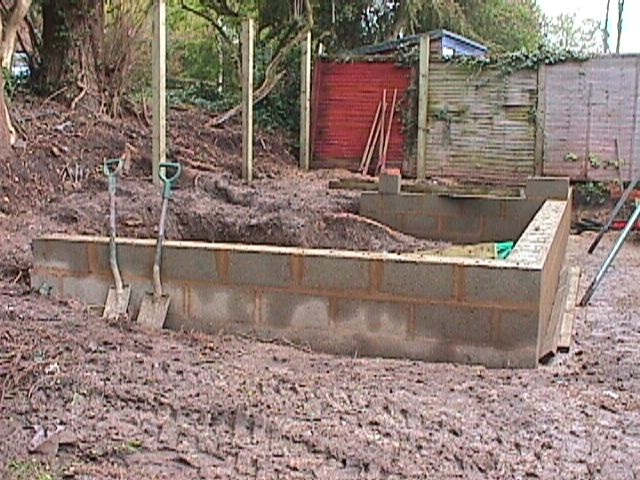 Work starts in the back garden with the construction of a wall to contain the pond. 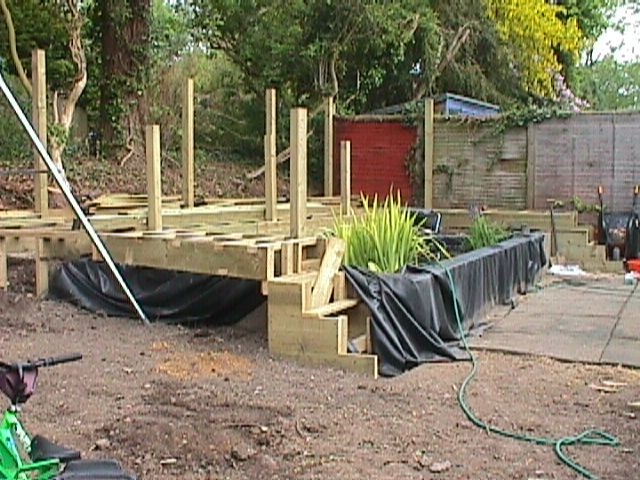 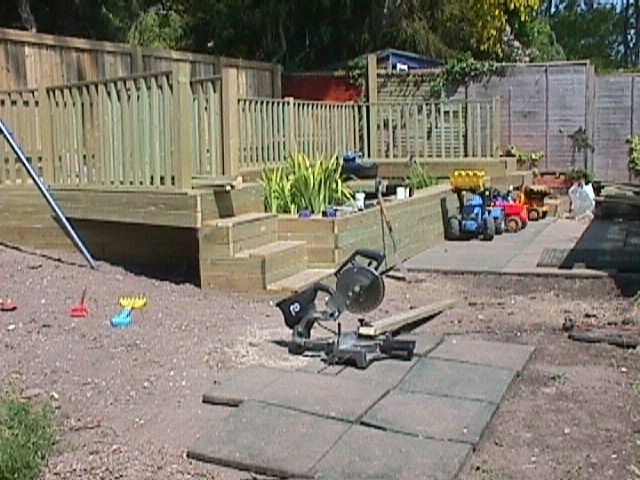 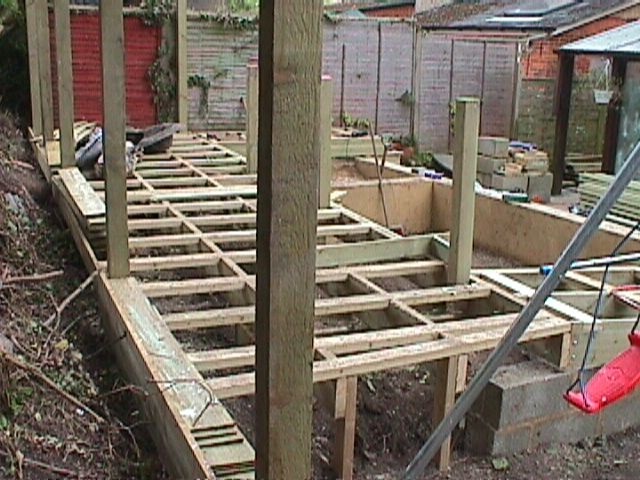 The decking frame is fitted and wall rendered ready for the pond liner. 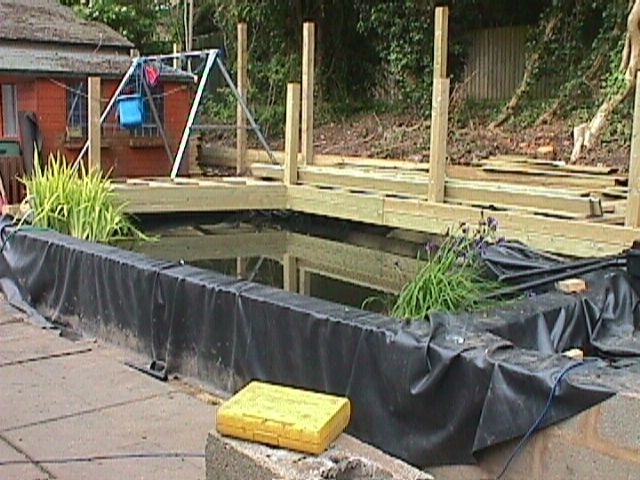 The pond water is transfered from the front garden to its new home in the back. 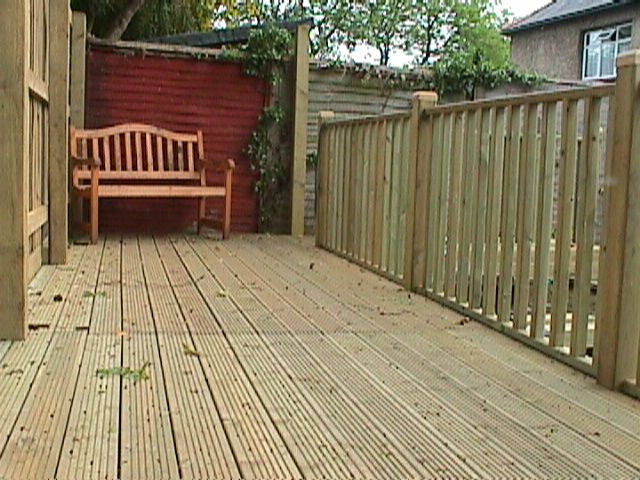 Hand rails and decking are added along with a new back fence.